Charming Darjeeling ....... Sharing Tips to make your visit memorable - Ghumakkar - Inspiring travel experiences. For me, Himalayas have always been the most beautiful and serene place to unwind. It’s enchanting beauty changes from Kashmir to Arunachal but still every single place on this stretch is a bliss to be. Last December, I had been to Darjeeling for two days.Though Sikkim takes you closer to Himalayas and the Kanchenjunga peak, but Darjeeling has its own colonial charm. 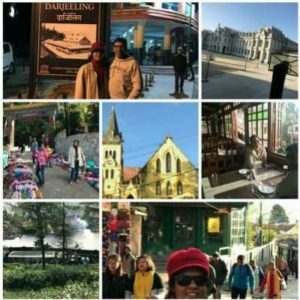 Sharing some tips from my experience of this visit which will help people, travelling to Darjeeling and make it a memorable one. Accommodation – Try to stay in hotels little away from Chowrasta or Mall Road (no vehicle zone) for a peaceful stay and your vehicle can come till your doorstep. I stayed at Zambala Retreat opposite Darjeeling Toy train station, hardly a mile from the centre. Travel to Darjeeling – If visiting Darjeeling by flight. Then book a window seat towards left. 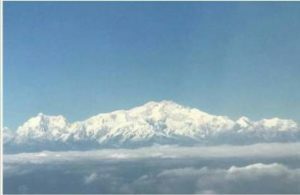 Before landing at Bagdogra the aircraft flies parallel to Himalayas. 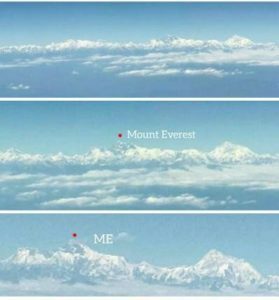 On a clear day, you can witness Everest and the cluster of peaks at a distance followed by Sleeping Budha (range of peaks resembling the sleeping posture of buddha). Few flights make an announcement for Sleeping Budha. Window seat gives a privilege to enjoy this beauty. 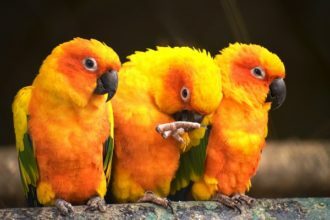 Sightseeing Tips – All the places of sightseeing are little far off from each other. If you are staying in the centre that doesn’t make you close to the attractions. Centre means shops, hotels, restaurants and a public square to sit and relax. Travelling from one place to another would be expensive. Better to hire a vehicle for the whole day. Tiger Hill – Mostly people come to watch the sunrise. It is definitely beautiful. 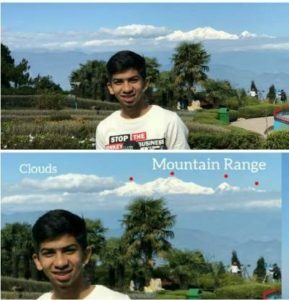 On the other side what might attract you is, in the pitch of darkness white glowing peak of Kanchenjunga standing naked right in front of you. With the first ray of the sun you can see the tips of various small peaks emerging from the darkness. 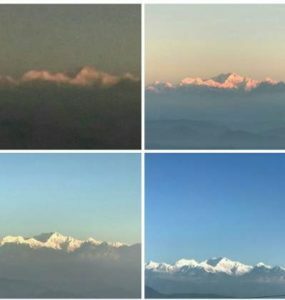 The Kanchenjunga turns orangish yellow with the sunrise and then becomes white. The peaks are visible on a clear day. 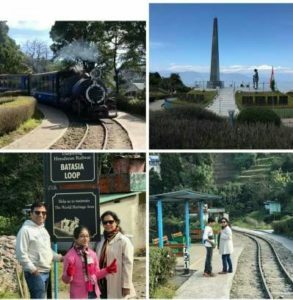 Batasia Loop – Wouldn’t it be fun to watch the steam engine led toy train taking the 360° turn through the Batasia Loop at the top of hill with the Kanchenjunga at the backdrop rather than seeing the bare tracks. Figure out the timing of toy train when it leaves Ghoom or Darjeeling station and time yourself accordingly at Loop to enjoy this engineering marvel. Don’t club Batasia Loop and Ghoom Monastery with Tiger Hill if you want to enjoy this. Himalayan Zoo and HMI Museum – Many are not too interested when it comes to zoo and museum. But its worth spending time watching Himalayan animals at the zoo and the HMI Museum (lots of interesting information on mountaineering and summit), situated in the same campus. Keep aside 1 and 1/2 to 2 hours to visit this place. Food – Must have are the the momos and hot Darjeeling Red tea without milk available across Darjeeling. Tea lover ? Go to Nathmull’s for tasting variety of tea. Shopping – Want to shop? Keep evening time for shopping. The market is open till 9 pm but the sightseeing places close before sunset. Other very interesting places are Ghoom Monastery, Ropeway, Tea Gardens, Pagoda etc. Darjeeling is a house of very good boarding schools of colonial architecture. Most important don’t be in a rush to cover all the places in a touch and go. Plan your day properly and spend time wisely. Try to interact with locals to understand their culture, they have interesting facts and stories to share. 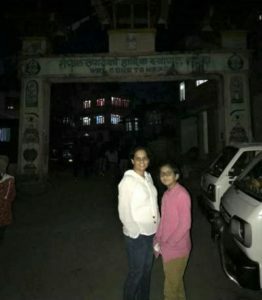 Random Pics of Darjeeling – the church, the school, the street, the shops, the cafe etc. Day 1 – Reached Bagdogra at 1.30 (flight delayed). Darjeeling via Mirik (detour). Enroute view of Serpentine tea gardens and had snacks near Mirik Lake. Missed Pashupati but got to see the Indo Nepal Border. A small road starts from India and continues in Nepal. Reached Darjeeling by 6.30. Day 2 -Tiger Hill at 4 am. Back to hotel. Post breakfast, visit to toy train station where steam engines are statiomed. 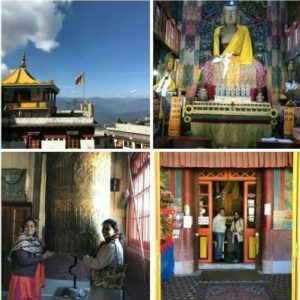 Ghoom Monastery and Batasia Loop followed by Himalayan Zoo and Museum. On return stopped at St. Joseph School to look from outside. Lunch and stroll at Chowrasta, sipping tea watching the people around. Evening shopping at Mall Road. 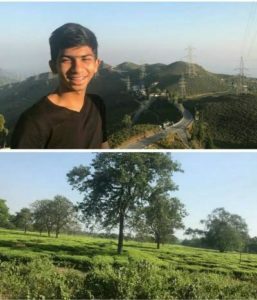 Had visited tea Gardens on my way so didn’t spare time for that. Ropeway was under maintenance. Day 3 – Depart for Siliguri at 8 am. I describe myself as a traveller, not a tourist who loves to explore and experience a place. I am a Chartered Accountant by qualification and a dedicated homemaker at present. I enjoy putting my dreams and experiences on paper through pen and colours. Useful tips, Meghna, especially as I’m planning a trip later this year. Our first halt was at “cave garden” .A network of inter connected rocky caves and hanging gardens, it leads the visitor into a mysterious and ancient dream world and gives the tourist an encapsulated glimpse of what the wilderness of the hill region can offer right in the middle of civilization. An wonderful world of our prehistoric ancestors. Six caves were in the form of Tiger, Panther, Porcupine, Bat cave etc.